Don’t. Just have people do their own research and book their accommodations. Send out a list of hotel names with a range of ratings to fit into different budgets. Set up a special “wedding rate” with several hotels nearby your ceremony and/or reception site. In this way, you (1) help your guests save money and (2) keep most of your guests in a handful of hotel (helpful if you end up carpooling or using a shuttle). With the wedding rate, no rooms are guaranteed (the hotel could sell out a week after setting up your rate), but you generally don’t need to sign any agreements with the hotel. Set up a block of wedding rooms at a special “wedding rate” at one or two hotels. The understanding is that the hotels may require that you either use 80% or more of those rooms (to avoid a penalty) or that your special rate is cut-off a month of two prior to your wedding. 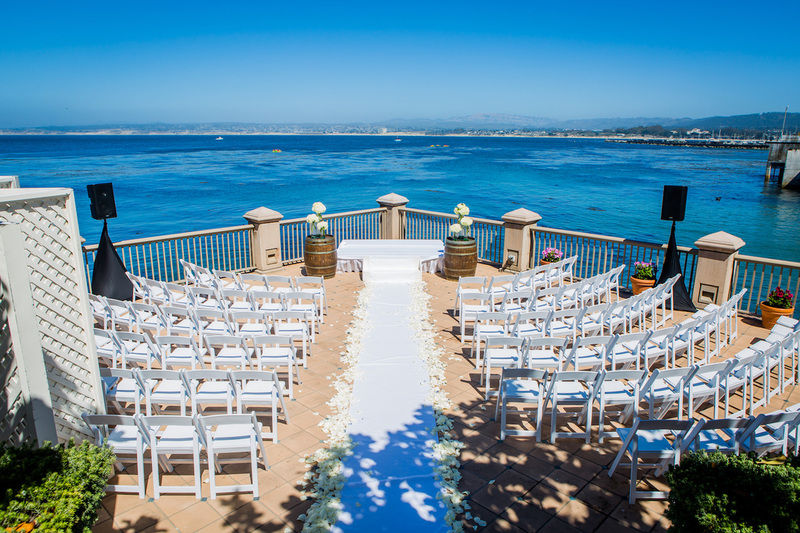 Before we started Weddings In Monterey in 2010, we operated the top hotel reservations service in Monterey County for ten years. During that time, we toured and got to know over 150 hotels, inns and B&B’s in our areas along with their strengths and weaknesses. We have recently been in contact with a number of properties that love working with wedding groups. Based on your answers, we send out RFP’s (request for proposal) to multiple hotels that we feel would be your best matches. With our existing relationship with the hotel community, we work to get you the best possible rates. Will the hotel just set up a special rate for your guests or will you need to formally set up a block of rooms? If you set up a block of rooms, do you need to guarantee that a certain amount of the rooms will be utilized by your wedding group or will they just release unused rooms by a certain date? If you book, for example, 10 rooms and only 5 rooms are actually reserved, will they bill you, as their main point of contact, for up to 5 unused rooms? Because our area tends to fill up so quickly, it is a good idea to put any hotel information on your save the date card. You don’t want your aunt and uncle calling a month out only to find that every room that is available is over their budget. Aside from our 10 years owning a hotel reservations service, our two owners have a combined 50 years in the hospitality community so feel free to ask us any questions about hotel accommodations. Contact Brian at 831-393-0445 or at briantborgia@sbcglobal.net for more information.